UFO SIGHTINGS DAILY: 3 Meter Tall Alien Body Found On Mars, Jan 2017, Video, UFO Sighting News. 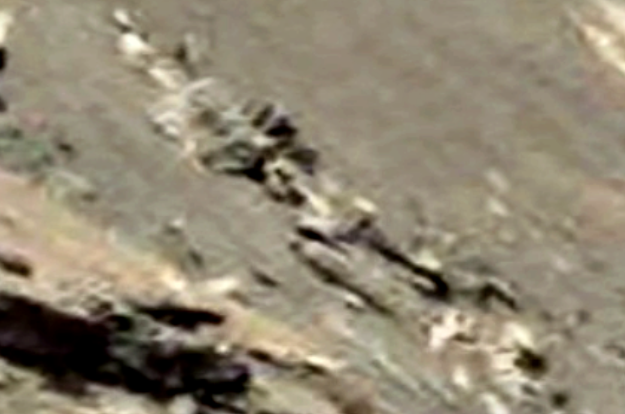 3 Meter Tall Alien Body Found On Mars, Jan 2017, Video, UFO Sighting News. Wow, this is a great discovery. 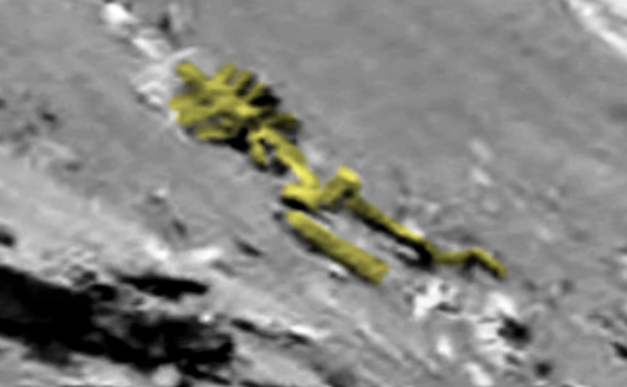 A bipedal skeleton on Mars and he has two sources as evidence. The skeleton is of a bipedal species like our own, having two legs, rib cage, back bone. The head and arms are gone, broken off from time. Remarkable discovery. The hight of the alien would be about 3 meters tall when compared to the hillside its on.